WC's advanced belay tool demonstrates engineering excellence and this remarkably lightweight device has been trimmed of all excess. Its deep ribbed grooves handle a vast range of ropes from 7.7mm alpine cords upwards. Operated in 'guide mode', the pro guide lite is perfect for bringing up twin followers and locks perfectly with every fall. With a larger 'release slot', suitable for a karabiner, the tool is simple to release under load. For use in mountain and crag environments by alpinists and adventure climbers, the Pro Guide Lite is ergonomic, smooth and simple to operate. If you have any questions about this product by Wild Country, contact us by completing and submitting the form below. If you are looking for a specif part number, please include it with your message. Epic Peak Light Weight Climbing Pro Belaying Glasses Goggles With Epic Peak Decal, Neck Strap, and Case. 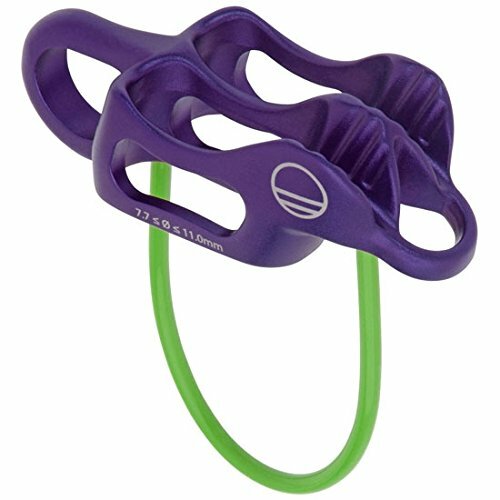 Free Belayer's Finger Massage Rings!